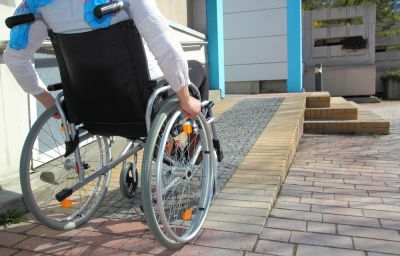 If you need wheelchair ramp construction, our top rated wheelchair ramp builders can help. Wood wheelchair ramps are a great lower cost alternative and provide years of freedom. The all natural wood ramps add a warmth to any home. We can construct and design the perfect wood ramp for your home or business. The most affordable all-natural wheelchair ramp solution. From adding a ramp to your deck to installations and repairs we can help. Fill out the short form on this page, tell us about your wheelchair ramp needs, and we will get right back to you with estimates and the best options. Wheelchair Ramp Construction - Select your State.